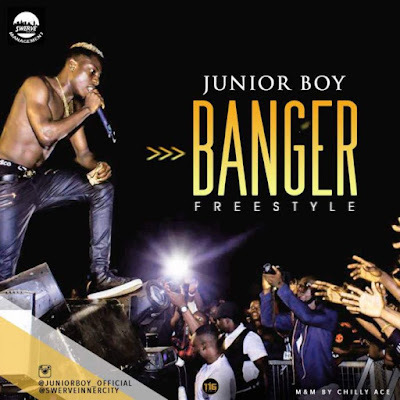 Swerve Innercity management waveboi Junior Boy is here with a street anthem titled “Banger” (freestyle). Few weeks back he released the video of Irapada 2.0 (Watch here) which have received massive views on Youtube and getting good air play on Local & Cable TV Stations. Junior Boy never cease to keep the fire burning as he blesses your playlist with this one again titled “Banger“. This was specially made for you to dance & rock. The song was mixed by Chilly Ace. Enjoy!! Anthony Joshua- Nigerian Jollof is the best! Wizkid just got served by Davido! Banky W Set to Marry his Betrothed!